For nearly three years, Rush Limbaugh, Sean Hannity and various other Conservative talk show hosts have been referring to a misconception on the part of the German leadership that they desperately require a fresh insurgence of immigrants in order to combat the aging population in a nation that is reproducing far behind the pace of other nations. The article appeared almost in a whisper, but by the time it had been passed around the daytime radio talk show circuit, it was a conspiracy theorist’s dream come true. If you’ll recall, the premise was that Germany could not afford its current levels of procreation if they were to survive, intact, over the next century. According to the piece, not only did they need a population explosion, but a population bomb of proportions not seen since the 1950s baby boom in the United States. The problem was that she then announced her plans to take in over 1 million refugees, migrants, and immigrants over the next 10 years! As luck would have it, the Syrian civil war that broke out and, like magic, Germany suddenly had its wished-for influx as a veritable tidal wave of Middle-Eastern Arab men between the ages of 18-28 began showing up at the borders, claiming sanctuary from war-torn regions. 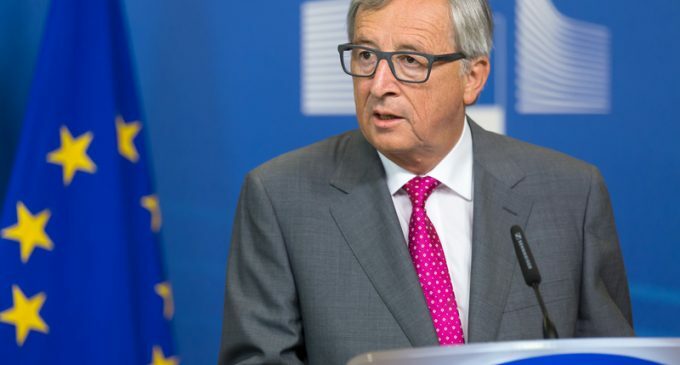 Now, the European Union (EU) leader, Jean-Claude Juncker, has declared that this recent uprising of nationalism in member states is nonsense and that they better get used to migrants…particularly African migrants…because he has laid down the law! If member nations don’t follow through, heads will roll! Turn the page to read about the latest turmoil in Europe! Who made up that ridiculous idea? George Soros? Will be LOST if it is!!! How stupid they think we are??? Bahahaha, Europe will be lost if immigration from Africa continues! Europe is already NeoAfrica. Its already lost.